That’s quite a bold claim isn’t it? “How is that even possible? I am working harder than before yet my results are not improving or they’re improving very slowly”. Did you know that students in Finland don’t start school until the age of 7? And they only have one main exam when they’re 16. You would imagine that Finnish kids are quite far behind in their studies but it’s far from the truth. According to the worldwide PISA tests in Maths, English and Science, Finland outperform the rest of Europe. How do they manage to do it? Also, have you noticed that there is always a small group of students who don’t come across as clever or they revise ‘last minute’ and seem to get good results? I used to be one of them myself (without coming across as boastful). I spent the least amount of time on revision and had more fun than everybody else yet I still achieved A and A* grades in all my exams. You should have seen the look on my friend’s faces, they were shocked! So how do Finnish kids and students like me do it? What are we doing differently? Who The Heck Is This Guy And What Does He Have To Do With My Revision? This man on the left is Vilfredo Pareto. He was an Italian economist who lived from 1848 to 1923. 80% of your results come from only 20% of your inputs. It’s a universal law and can be applied to almost every activity. So how does this apply to revision? Well only 20% of what you’re doing right now in your revision will contribute to 80% of your final grade. This means you could potentially cut your revision time by 75% and still get your target grade. For example, if you’re revising for 4 hours a day at the moment, you could reduce this to 1 hour and still get the same result in your exam. 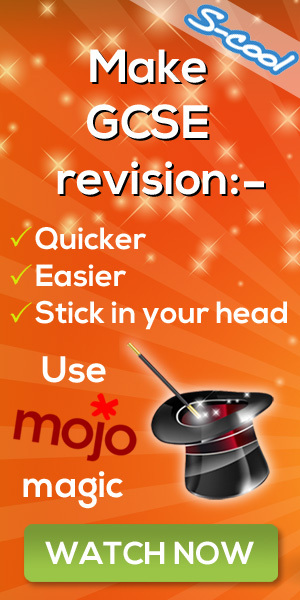 Imagine if you could cut your revision time by 75 percent? What would you do in that spare time? Play video games or go out with friends? I advise all of my students to have a balanced social life during revision because it’s vital for their mental and physical well being. After tutoring hundreds of students in the past, I’ve identified exactly where this 20% lies. Would you like to know where? Firstly, let’s identify the 80% that doesn’t contribute to your final grade. Don’t get me wrong. I am not saying you should never look at a revision guide or take any notes. That would be absurd. But it’s the order in which you carry out these tasks that will make a huge difference when it comes to efficiency and results. What most students do is take a front to back approach. They buy the first revision guide in sight (and usually it’s too big to revise from), read through it and make detailed notes. They will not move onto the exam papers unless they’ve ‘learned’ all of the content. It’s almost as if it’s a crime if they don’t finish that damn revision guide lol. Reading through a revision guide and making detailed notes in the beginning has virtually no impact on your results. Take your revision guide out now, pick a chapter, read through it and make notes. Then, after an hour, see if you can rewrite all of your notes from memory. I will guarantee that you won’t remember most of the stuff you wrote down. It’s only when you go over it a second, third or fourth time, it begins to stick. Also, not everything from the revision guide will feature in the exam so you could be writing down stuff you don’t even need. When I revised for my GCSE and A-Level maths, I didn’t read a revision guide or make any notes to begin with and I got an A* grade in the end. Ok Jeevan. Where Is The 20% Of Activities That Will Bring 80% Of My Results? The review and mark scheme phase is the most crucial area of your revision yet it’s often overlooked. This is the only area where scores and grades actually improve. Most students focus on the first two phases, spend some time on the third and very little to no time on the final phase. The reason being is they get too bogged down on reading the revision guide and writing notes that they don’t spend anywhere near as much time on exam papers and review. I’ll explain why the review and the mark scheme section is the most important phase with a scenario. Suppose you’ve just finished going through your revision guide and you’re ready for the past papers. By the way, in theory, you should score 100% on the first paper if you learnt everything from the revision guide. However, in reality, this never happens. Even if you go through the entire revision guide first, you’ll still get a fairly low score (usually around the 50% mark) on the first practice paper you take. I used to myself. It’s just the way it goes. You’re new to practice papers and they’re somewhat different to the questions in the revision guide. So I give you 5 papers to complete one after the other. What result would you expect in each one? You would get the exact same score in every paper. Hence, you’ve made no progress. The only way your score will improve is if you review your papers as you go along. You need to see first-hand where you’re going wrong and why. Then, don’t make the same mistakes in the next paper. If you follow that small rule of thumb, your results will keep improving. I know. It sounds obvious but most students don’t take the time to review their work and then they complain afterwards when they don’t see an improvement in their results. This is because you’ll never identify your weaknesses. How do you expect your results to improve if you never identify your mistakes and rectify them? Also, how do examiners mark your papers? They refer to a mark scheme. Understand the mark scheme and how marks are awarded and deducted. If you provide the examiner with everything they’re looking for, it will be very difficult for you to get a low score in the exam. What Do You Suggest I Do Then Jeevan? You should turn the typical revision process on its head. Begin with the 20% of activities that will directly contribute to your end result. Don’t start off with the revision guide. Use the revision guide as a reference point. Begin with a practice paper right away. Answer as many questions as you can in exam conditions. Give it your best shot. What you’ll find is you’re able to answer a lot more questions than you think. When you’re done, check your answers with the mark scheme. For all the questions you didn’t know, see if you can pick anything up from the mark scheme. Question the mark scheme. Why did they make these calculations? By seeking the answer to that question, you’ll develop your problem-solving skills. Then, turn to your revision guide for assistance. You’ll start to pick-up new concepts. What you’ll find is, as long as you’re spending enough time on the review phase, you’ll speed up the learning process and results will improve quite quickly. Note-taking will occur towards the end of the revision program; weeks or days before the actual exam. Your notes page will be brief. It will only contain things you must remember for your exam. These will vary from student to student so only you will know what these are nearer the time of your exam. But Wouldn’t I Run Out Of Past Papers And Not Have Enough Nearer The Time Of My Exam? As I matter of fact, I have dozens of papers dating back to 2003. It took me an awful long time to put together. You get them all for free when you sign up to my revision program: GCSE Maths In Four Weeks. The great thing about some of the older papers (2007 – 2009) is they’re a tad easier than the papers you find these days. You can use these papers as a ‘learning process’ to pick up new concepts and improve your exam technique. Then, treat the 2010 papers and onwards as real exams. That’s plenty of practice. Students who took their GCSE’s back in the day did not have access to this many resources. That’s why they struggled big time! You, on the other hand, have all the resources at your disposal. That’s why it’s easier than ever to achieve your target grade in maths. You know the revision process I showed you on the last page. This is exactly how private schools teach their students. They start at an exam question and work backwards. So it makes sense to imitate what they do. They usually charge £10K a year in student fees. And I’ve just revealed this information to you for free! If you’re a higher-tier student (in most cases, you are), don’t worry. I’ve gone through the new sample papers and not much has changed. Honestly. With the introduction of a number 9 grade, they have to throw-in a few extra topics to separate the A* and A** pupils. If you’re currently an A/A* student, then these new topics are not a big step-up from what you’re currently learning. I have covered all of these topics in my GCSE Maths In Four Weeks Program. If you’re currently working on a grade lower down the scale, it won’t impact you too much. The questions ranging from grades 4 to 6 will be more or less the same as the questions you find in the old-style GCSE papers. That’s why you should still go through the old GCSE maths past papers. It’s a good learning process. I’ve just shown you how to achieve your target grade in half the time. Follow what I’ve said and what you’ll find is you’ll be working less and your grades will improve. My GCSE Maths In Four Weeks Program is built around this 80/20 rule. All the students who’ve used it have improved their results by one or two whole letter grades in the space of only a couple of months. You can read all about their success stories on my website: http://www.passgcsemaths.com. Note: S-cool receives a commission for every sale of GCSE Maths. There is no extra cost to you.